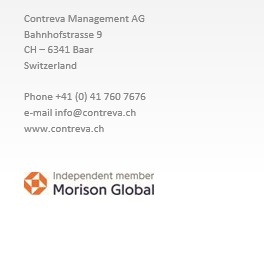 Contreva Management AG was founded in 1989 as a fiduciary and management services firm. Our innovative services, focused on top quality, are supplemented by the well-known benefits of Switzerland as a business centre. They include the central location in Europe, the liberal framework conditions, the highly developed financial centre, the favourable tax regime and the modern infrastructure. As an active member of Morison KSi, an association of renowned fiduciary companies, we have broad international experience and excellent connections in more than 40 countries. Cooperation between the members is characterised by mutually appreciated competence, short reaction times and orientation to the client. 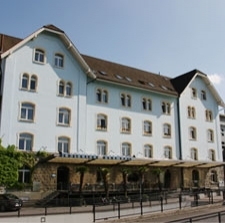 What that means is that with Contreva, you can rely on solutions which provide you with effective support not only in Switzerland, but internationally too. You obtain added value through our individual structuring of solutions. You reduce work and costs through our largely standardised solution tools and standardised, modular solution processes. Benefit from our solutions in the fields of Business Establishment Services, SME Services and Family Office.